Are you or someone you know struggling with mental health wellbeing? 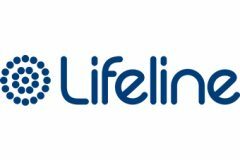 Lifeline’s Way2Wellness is a Low Intensity Mental Health Service available for people who are feeling stressed, anxious, lonely or just not their usual selves. The service provides free telephone counselling as well as connecting people with mental health resources and local services to help get themselves back on track. Meet your FREE digital coach for anxiety & depression. Created by Flinders University, the Clevertar program will guide you through a tailored program to help you make changes to improve how you feel. All people who live, work, or go to school in the Northern Sydney Health Network region can access this service. It is recommended for people who do not require more intensive psychological services and who may benefit from guided self help and support. People can access Way2Wellness directly or via a referral from their GP. If you would like more guidance or advice about whether this service is appropriate, please consult your GP. GPs can refer people through the Mental Health Triage on 1300 782 391, send a completed Referral Form via secure fax on 02 8072 6899 or direct patients to call the service on 1300 120 446. Individuals can use their smartphone or tablet to download the app by searching for ‘Clevertar’ in the Apple store or Google Play. For more information on Clevertar, click here.